Buy this beautiful handmade kilim carpet at a reasonable price. This is 100% hand washable and highly durable carpet. This is handwoven in flatwoven technique. It has a beautiful geometrical design pattern which is suitable for a living area and a bedroom as well. Give a true statement to your floor by adding coziness and warm touch to your floor. 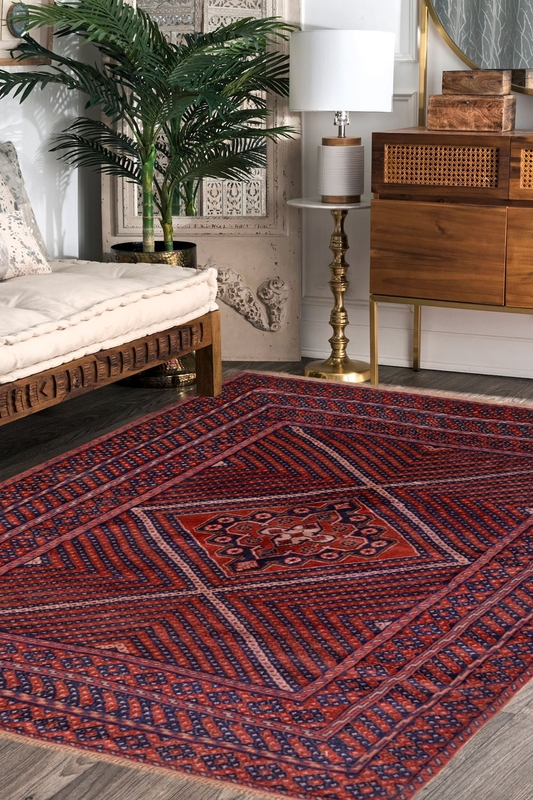 This kilim carpet is 100% ideal for your floor. This is inexpensive and highly durable carpet. This carpet is woven in flat woven technique and cotton material is used for providing strength to this carpet.